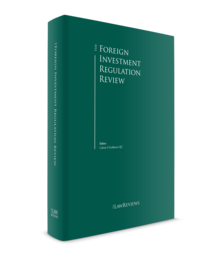 Although the overwhelming majority of foreign investment reviews in Canada are still successful, the marked increase in contentious reviews in the past seven years demonstrates that Canada is not entirely immune to the parallel rising tide of economic protectionism and concern for national security that is increasing in various jurisdictions across the globe. Nonetheless, recent developments suggest that the Liberal government of Prime Minister Justin Trudeau is seeking to encourage increased foreign investment. The stated purpose of the ICA is to review 'significant investments' by non-Canadians with a view to encouraging investment and economic growth, as well as to review investments by non-Canadians that 'could be injurious to national security'.3 The ICA applies when non-Canadians acquire existing Canadian businesses or establish new Canadian businesses. There are two separate but interdependent regimes for review under the ICA – net benefit reviews, aimed at determining whether the proposed transaction is likely to be of net benefit to Canada, and national security reviews. When a transaction is reviewable, the non-Canadian investor applies to the Investment Review Division (IRD) of Innovation, Science and Economic Development.7 The IRD is led by the Director of Investments, who is appointed by the Minister. It is the Director's duty to assist the Minister and make recommendations as to whether a proposed investment would be of net benefit to Canada.8 However, the Minister is not bound by the Director's recommendation and can approve or deny any investment. The Director and his officials are guided in assessing the net benefit of a transaction by a series of factors set out in the ICA, as discussed in Section IV.i. Consultations also occur with provincial governments affected by the proposed transaction, and with the Competition Bureau. All foreign investments in Canadian businesses may also be the subject of a national security review if the investment could be injurious to national security.9 The national security review provisions in the ICA do not specify threshold requirements based on the size of the transaction or the extent of the interest being acquired by the foreign investor. 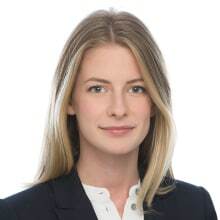 Accordingly, a national security review may be invoked in any transaction involving a non-Canadian investor in a Canadian business, even if the transaction is neither notifiable nor reviewable under the net benefit review provisions discussed above. The national security review framework is discussed further in Section IV.ii. Special guidelines under the ICA also apply to investments by foreign state-owned enterprises (SOEs). These special guidelines are discussed in Section IV.vi. Similarly, transactions involving cultural businesses (e.g., those involved in the production or distribution of books, or film, audio and video products), for which the financial thresholds for review are substantially lower, are also subject to special rules, as discussed in Section IV.vi. When determining how to structure the acquisition of a private or public Canadian company, the question is whether to acquire the assets or the shares of the target. Share purchase transactions are usually less complex than asset purchase transactions, which benefits both the buyer and the seller. Specifically, while a single share transfer is required in a share purchase transaction, an asset purchase transaction requires the conveyance of each individual asset and can trigger the need for third-party consents. Setting aside the simplicity of a share acquisition, an asset acquisition is generally preferable for buyers. In an asset purchase, the buyer can choose to assume only specific assets and specific liabilities, whereas in a share purchase, the buyer acquires all the target's assets and liabilities. An asset acquisition can also have tax benefits for purchasers, who are often able to allocate some of the purchase price to depreciable property, resulting in future tax deductions. The acquisition of a public company in Canada by way of an asset purchase generally requires at least 66.66 per cent shareholder approval. The acquisition of shares in a public company is usually achieved through one of three structures: plan of arrangement, amalgamation or takeover bid. A plan of arrangement is a statutory procedure that facilitates the acquisition of all the outstanding shares of the target company in a single step. An amalgamation is the combination of one or more entities resulting in a single new entity that houses the combined assets and liabilities of both pre-amalgamation entities. A takeover bid is an offer to acquire outstanding voting or equity securities where the securities subject to the offer, together with the shares already owned by the potential acquirer, constitute 20 per cent or more of the shares of the class that is subject to the offer. A takeover bid is the only method available in Canada to acquire legal control of a public company without the consent of the board of directors. Complexity: a plan of arrangement facilitates the acquisition of 100 per cent of the target in a single step, whereas a takeover bid inevitably requires a second step to acquire 100 per cent of the shares. Timing: depending on the circumstances, a plan of arrangement may be completed more quickly than a takeover bid, particularly if extensions to the bid are required or fewer than 90 per cent of the target shares are ultimately tendered to the bid. Procedural requirements: very few technical rules apply to a plan of arrangement, as compared to a takeover bid, which is subject to comprehensive procedural requirements. Collateral benefits: collateral benefits are permitted in plans of arrangement (subject to minority shareholder approval in most cases). In contrast, a shareholder is not able to receive greater consideration in a takeover bid, in the absence of a statutory exemption or discretionary relief. As set out in Section II, there are two separate interdependent regimes for review under the ICA – the net benefit review and the national security review. When a non-Canadian acquires control of an existing Canadian business, the investment is subject to a net benefit review if it exceeds certain prescribed financial thresholds;10 otherwise, a notification of the transaction must be filed with the Director of Investments within 30 days of closing. The ICA provides a framework for determining whether an investor is non-Canadian, whether an investment is an acquisition of control by the non-Canadian, and whether the investment relates to a Canadian business. The manner of acquiring control varies under the ICA depending on the target entity. Generally, an acquisition of control occurs upon the acquisition of a majority of the voting shares or voting interests of an entity, either directly or indirectly, carrying on a Canadian business, or upon the acquisition of all or substantially all the assets used to carry on a Canadian business. When the foreign investor is an SOE,19 the acquisition is in respect of a cultural business20 or where a transaction may be injurious to national security,21 the Minister is given the flexibility to make a fact-specific determination as to whether an acquisition of control has occurred. A Canadian business is defined as 'a business carried on in Canada that has (a) a place of business in Canada, (b) an individual or individuals in Canada who are employed or self-employed in connection with the business, and (c) assets in Canada used in carrying on the business'.22 The ICA also contains provisions relating to businesses that are carried on only partially in Canada. whether the investment raises national security concerns. As of June 2017, the reviewable threshold for direct private sector investments involving WTO investors either as purchaser or seller was increased from C$800 million to C$1 billion in enterprise value. This threshold has more than doubled since 2013. Beginning on 1 January 2021, the threshold will be adjusted annually to reflect the change in Canada's nominal gross domestic product.29 As of September 2017, the equivalent threshold for trade agreement investors is C$1.5 billion in enterprise value. The reviewable threshold for direct acquisitions by investors not belonging to an WTO Member State, or for direct acquisitions of Canadian cultural businesses (irrespective of investor nationality), is only C$5 million.30 For direct acquisitions by SOEs from WTO Member States, the threshold in 2017 was C$379 million (book value of assets). Indirect acquisitions (in which a non-Canadian parent company that controls a Canadian subsidiary is being acquired) by investors from WTO Member States are not reviewable, unless the Canadian subsidiary of the target is a cultural business.31 Indirect acquisitions of cultural businesses will be reviewable if the book value of the assets involved exceeds C$50 million, but this threshold is reduced to C$5 million if the asset value of the target exceeds 50 per cent of the asset value of the international transaction. When a transaction is reviewable, the investor must submit an application to the IRD to aid the Minister in determining whether the proposed transaction is likely to be of net benefit to Canada. The Minister has 45 days from the date of receiving a sufficient application to complete the net benefit review and issue an opinion.32 The Minister can (and typically does) unilaterally extend the review period by an additional 30 days.33 In practice, investors should therefore allow at least 75 days for the process. The review period cannot be unilaterally extended by the Minister beyond 75 days without the consent of the investor. Although not mandatory under the ICA, in practice, the Minister requires undertakings from the investor regarding the acquired Canadian business (i.e., contractual commitments from the investor) in virtually all reviewable transactions. The undertakings, which are legally enforceable commitments to the Government of Canada, usually have a term of three years and address matters such as employment levels in Canada, Canadian participation in management and the board of directors, production targets, research and development, future capital expenditures and charitable contributions. As noted above, unlike a net benefit review, which is limited to acquisitions of control over certain thresholds, a national security review may be invoked in any transaction involving a non-Canadian investor, irrespective of both the size of the transaction and the extent of the interest being acquired by the foreign investor. This can be particularly problematic from a timing perspective in situations where no application for review or notification is required under the net benefit provisions of the ICA but a transaction may, nonetheless, raise national security concerns; for example, because of the nature of the target. Formal pre-acquisition clearance cannot be obtained under the national security provisions of the ICA. potential effects of the investment on Canada's international interests, including foreign relationships. The guidelines encourage early engagement with the IRD when any of these factors may be present. Part II of the ICA provides a list of transactions that are exempt from the review and notification requirements contained in the ICA, and a list of transactions that are also exempt from the national security provisions of the ICA. an acquisition of control of a farming business where real property is acquired. certain acquisitions of control by non-Canadian insurance businesses, or affiliates thereof, where the acquisition is subject to approval under the Bank Act, the Cooperative the Credit Associations Act, the Insurance Companies Act or the Trust and Loan Companies Act. Investments that are subject to foreign investment review may also be subject to review under the Competition Act (CA),52 whereby certain proposed acquisitions and business combinations trigger advance notification requirements. Specifically, Part IX of the CA establishes a review process whereby parties to a transaction must provide the Commissioner of Competition with pre-transaction notification filings if the proposed transaction exceeds specified monetary and shareholding thresholds.53 These thresholds are different from those contained in the ICA. When a transaction is subject to review under Part IX of the CA, it cannot be closed until expiry of a 30-day statutory waiting period, which may be extended if the Commissioner requires more information about the proposed transaction.54 Many reviews under the CA take approximately four to five months to complete; some cases certainly take longer. Parallel reviews under the CA and the ICA can also have real-world timing implications for a proposed transaction. For example, the Minister might not issue a clearance under the ICA until the Bureau has completed its review, especially where there are significant competition issues. While not usual practice, there is also a possibility that the Competition Bureau may not complete its assessment until the ICA review process is concluded, especially if there are significant foreign investment issues and sufficient competition issues to give rise to a supplementary information request. Special considerations apply to investments by foreign SOEs and acquisitions of Canadian cultural businesses. The Minister of Canadian Heritage is responsible for reviewing acquisitions of, or investments in, cultural businesses.64 A 'cultural business' is defined in the ICA and can include, for example, businesses involved in the publication or distribution of books, film, music and radio communications.65 Even if only a small portion of a business's operations are cultural, it will still be considered a cultural business for the purposes of foreign investment review. Transactions involving cultural businesses must also align with Canada's cultural policy objectives, where relevant, in addition to meeting the standard 'net benefit to Canada' test. Specifically, the Minister of Canadian Heritage will consider the consistency of the investment with Canada's cultural policies in such industries as periodical and book publishing, and film production and distribution. Similar provisions, subject to a limited number of exclusions, also exist in other agreements. For example, Chapter 11 of the NAFTA pursues the principles of international reciprocity and equal treatment of investors from NAFTA states, allowing those investors to transfer their capital and returns, and precluding the Canadian government from expropriating their investments without sufficient and timely compensation.76 The ISDS provision in Chapter 11 allows investors from NAFTA states to submit to arbitration claims, including claims for damages, against the Canadian government.77 Notably, the future of NAFTA is in a state of limbo because of trade negotiations between the United States, Canada and Mexico. Chapter 8 of the CETA, a trade agreement concluded between Canada and the European Union, also provides an ISDS mechanism whereby foreign investors may submit a claim to an arbitral tribunal.78 The CETA entered into force on 21 September 2017. Furthermore, general concerns regarding the transparency of arbitration apply but are mitigated by the emergence of mechanisms such as the Rules on Transparency in Treaty-Based Investor–State Arbitration, established by the UN Commission on International Trade Law and which came into effect on 1 April 2014. With the recent rise in the financial thresholds for review applicable to direct private sector investments, increasingly only the largest transactions are subject to a net benefit review pursuant to the ICA. Such investments tend to be of a very high-profile nature, and the Minister's discretion to address both national interest and national security considerations means that not only must legal process and substantive considerations be taken into account, but also the political and public relations aspects of a proposed acquisition. Accordingly, it is prudent in the planning phase of such a transaction to fully engage not only legal experts, but also government relations experts and communications experts, to ensure there is both an accurate reading of how the particular transaction may be perceived against the political landscape and to develop the key messages that will ensure a consistent, positive public perception regarding the transaction's benefits for Canada. Those proposing major transactions in sensitive economic sectors, such as Canada's oil and gas sector, or transactions of any size that might raise national security considerations, are also encouraged to arrange a meeting with the IRD at an early stage in their planning to identify any policy concerns that may be raised by a particular transaction. Increased scrutiny in recent years of foreign investment internationally has been driven by the rise of both national interest considerations, such as the importance of infrastructure, and the rise in various jurisdictions of national security considerations more generally. Notwithstanding this emerging trend, the election of the Liberal government of Prime Minister Justin Trudeau in 2015 ushered in a new era for foreign investment in Canada. The Trudeau government has placed significant emphasis on attracting foreign direct investment in infrastructure projects, and holding seminars aimed at encouraging investors to deploy capital in Canada. The government has also specifically welcomed investment from China, putting Canada on a unique footing when compared with some of its Western allies. Whereas the former Conservative government of Prime Minister Steven Harper had blocked or ordered the divestiture of a number of transactions on national security grounds, the Trudeau government has taken a markedly different approach, particularly towards investments from Chinese SOEs. Many examples demonstrate this change in direction for Canada. In March 2017, the Trudeau government reversed a decision of the Harper government to block the purchase of a Montreal-based technology company, ITF Technologies Inc, on national security grounds. In 2015, O-Net Communications Group Ltd, a developer of optical networking components based in Hong Kong reported to be a subsidiary of Chinese state-owned China Electronics Corporation, acquired ITF Technologies, which specialises in fibre components and modules, for C$5 million. Following the closing, the federal cabinet exercised its powers under the national security provisions of the ICA to require the divestiture of O-Net's investment. O-Net brought its concerns about the secretive national security process before the Federal Court of Canada by way of an application for judicial review filed in August 2015. In its application, O-Net claimed that the government breached its right to procedural fairness by, among other ways, failing to disclose its national security concerns regarding the transaction or to provide an opportunity to respond. In late 2016, it was announced that the new Liberal government had agreed to an order that it would undertake a new review of the ITF Technologies acquisition. At the time, the government faced public criticism for opening the door to a fresh review of a transaction. As reported in The Globe and Mail, a nationally distributed Canadian newspaper, the Canadian national security agency had warned that transfer of the target's technology would undermine a technological edge enjoyed by Western militaries over China. The reversal of the O-Net divestiture order followed on the heels of remarks by the newly appointed Chinese ambassador to Canada, who was reported in the 24 March 2017 edition of The Globe and Mail as stating that China would view as 'trade protectionism any attempt to invoke national security to block state-owned firms from buying Canadian companies or doing business with the federal government'. This comment regarding national security reviews was made in an interview dealing more broadly with Beijing's desire for unfettered access for Chinese state-owned firms to all key sectors of the Canadian economy. The access sought would require the reversal of a policy put in place by the Harper government to block future acquisitions of control by SOEs over Canadian oil sands businesses. In announcing its decision to reverse the divestiture order, the government made it clear that its ruling is subject to conditions. An unnamed source within the government also explained that there were no other buyers for the Canadian business, and a divestiture might have resulted in the scattering of the expertise and knowledge residing within the business. In May 2017, the Trudeau government cleared the purchase of Norsat, a Canadian manufacturer of communications equipment with military applications, by Hytera, a Chinese SOE. Norsat makes microwave components, portable satellite systems, maritime communications equipment and radio frequency antenna products. In January 2017, it announced that it had sold portable satellite terminals to the United States Department of Defense in a deal worth C$3.3 million. In clearing the Hytera transaction, the Canadian government did not conduct a formal national security review, which attracted criticism from opposition politicians and retired security officials within Canada, as well as US legislators. The government defended itself by making clear that a detailed review, albeit an informal one, had been conducted and had included consultation with the security apparatus in the United States. In May 2018, following a formal national security review, the Canadian government blocked a proposed US$1.5 billion acquisition of Aecon Group Inc, a Canadian construction firm, by a Chinese SOE, on the basis that it would be injurious to national security. Recent developments are nevertheless generally consistent with, and confirm, the widely held view that the Trudeau government is more open to foreign investment than previous governments. What remains to be seen, however, is how successfully Canada can forge its own pro-foreign investment path in a global environment that is increasingly inward facing. 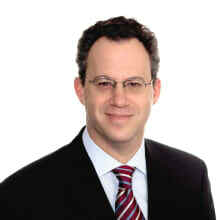 1 Michael Koch is a partner and Rebecca Olscher is an associate at Goodmans LLP. 2 Mathieu Frigon, 'The Foreign Investment Review Process in Canada', Library of Parliament (12 July 2011), online: www.parl.gc.ca. 3 Investment Canada Act, RSC 1985, c 28, Section 2 [ICA]. 6 Ibid., Sections 16 and 17. 7 Alternatively, in the context of a cultural business, the non-Canadian investor applies to the Cultural Sector Investment Review Division of the Department of Canadian Heritage. 8 ICA (see footnote 3), Section 6. 13 Ibid., Section 26(1)(a) to (c). 25 Investment Canada Regulations, SOR/85-611, Section 3.1. 29 Ibid., Section 14.1(2). Upon the coming into force of the Canada–European Union Comprehensive Economic and Trade Agreement Implementation Act, SC 2017, c 6, the threshold for investors from countries with which Canada has a trade agreement will be raised to C$1.5 billion in enterprise value. 30 Government of Canada, 'Thresholds for Review' (25 July 2017), online: www.ic.gc.ca. 32 ICA (see footnote 3), Section 21(1). 36 Brian Facey and Joshua Krane, Investment Canada Act: Commentary and Annotation (Toronto: LexisNexis Canada, 2014) at 54. 37 The Minister must provide reasons for rejecting a proposed investment to the non-Canadian investor – ICA (see footnote 3), Section 23.1. 38 Facey and Krane (see footnote 36) at xiv. 39 ICA (see footnote 3), Section 19. 41 Ibid., Section 25.2(1); National Security Review of Investments Regulations, SOR/2009-271, Section 2. 42 ICA (see footnote 3), Section 25.3(1); National Security Review of Investments Regulations, note 41, Section 4. 43 ICA (see footnote 3), Section 25.4(1); National Security Review of Investments Regulations, note 41, Section 6. 44 Industry Canada, 'Regulatory Initiative: Amendments to the Investment Canada Regulations – Forward Regulatory Plan 2014–2016' (1 April 2014), online: www.ic.gc.ca. 45 Facey and Krane (see footnote 36) at 76. 46 Minister of Innovation, Science and Economic Development, 'Guidelines on the National Security Review of Investments' (19 December 2016), online: www.ic.gc.ca. 47 ICA (see footnote 3), Section 39. 51 Note, an acquisition of control by a foreign lender in connection with the realisation of security granted for a loan or other financial assistance that is not subject to approval under the Bank Act, SC 1991, c 46, Cooperative Credit Associations Act, SC 1991, c 48, Insurance Companies Act, SC 1991, c 47 or Trust and Loan Companies Act, SC 1991, c 45, is still exempt from the review requirements of the ICA, but not the notification or national security provisions – ICA, note 3, Section 10(1.1). 52 RSC 1985, c C-34. Canada's competition law is governed by the CA, a federal statute that applies across Canada and contains both criminal and civil provisions aimed at preventing harmful anticompetitive practices in the marketplace. The CA empowers Canada's Commissioner of Competition to challenge transactions that are likely to prevent or lessen competition substantially in a relevant market. Subject to certain exceptions, the Commissioner may challenge a proposed transaction before the Competition Tribunal within one year of the transaction's substantial completion if it raises competition concerns. The Tribunal, an independent adjudicative body, is distinguished from the Competition Bureau (headed by the Commissioner), which investigates complaints and decides whether to proceed with the filing of an application to the Tribunal. The Bureau is part of the Department of Innovation, Science and Economic Development. 53 The size of the parties' threshold is met where the parties to the transaction (with their affiliates) have aggregate Canadian assets that exceed C$400 million or gross revenues from sales in, from or into Canada that exceed C$400 million in aggregate (CA (see footnote 52), Section 109(1)). For the pre-merger notification requirement to be triggered, the size of the transaction must also exceed a threshold, which was C$88 million for 2017 (CA (see footnote 52), Section 123(1)). This threshold value is determined annually according to an indexing mechanism set out in the CA, which is tied to Canada's gross domestic product. 54 CA (see footnote 52), Section 123(1). 55 Mathieu Frigon, 'Foreign Investment in Canada, Library of Parliament' (2011), online: www.parl.gc.ca. 56 'Bill C-60: An Act to implement certain provisions of the budget tabled in Parliament on March 21, 2013 and other measures', 1st Reading, 41st Parl., 1st Sess., [Ottawa]: Library of Parliament, 2013, online: www.parl.gc.ca. 57 ICA (see footnote 3), Section 3. 58 Industry Canada, 'Investment Canada Act – All Guidelines' (7 December 2012), online: www.ic.gc.ca. 59 'Thresholds for Review' (see footnote 30). 60 Angela Avery, Peter Glossup and Paula Olexiuk, 'Foreign Investment in Canada's Oil and Gas Sector: New and Emerging Challenges' (2013) 51:2 Alta L Rev 343 at paragraph 69. 61 Industry Canada, 'Statement Regarding Investment by Foreign State-Owned Enterprises' (7 December 2012), online: www.ic.gc.ca. 62 'Investment Canada Act – All Guidelines' (see footnote 58). 63 'Statement Regarding Investment by Foreign State-Owned Enterprises' (see footnote 61). 64 ICA (see footnote 3), Section 4. 66 ICA (see footnote 3), Section 15. 67 Government of Canada, 'Agreement Types' (21 March 2017), online: www.international.gc.ca. 70 See, for example, Agreement Between the Government of Canada and the Government of the People's Republic of China for the Promotion and Reciprocal Protection of Investments, Canada and the People's Republic of China, Articles 5 and 6 (entered into force 1 October 2014) (Canada–China foreign investment promotion and protection agreement (FIPA)). 71 See, for example, ibid., Articles 10 to 12. 72 Government of Canada, 'Trade and Investment Agreements' (13 July 2018), online: www.international.gc.ca. 73 Canada–China FIPA (see footnote 70). 75 See, for example, ibid., Articles 19 to 32. 76 North American Free Trade Agreement, Canada, Mexico and the United States, 17 December 1992, Article 11 (entered into force 1 January 1994). 78 Comprehensive Economic and Trade Agreement, Canada and the European Union, 30 October 2016, Article 8. 79 Trans-Pacific Partnership Agreement, Australia, Brunei, Canada, Chile, Japan, Malaysia, Mexico, New Zealand, Peru, Singapore, United States (withdrawn) and Vietnam, 4 February 2016, Article 9. 80 See, for example, Canada–China FIPA (see footnote 70), Article 33.